Paul-san (what people at Lexus call him) explained that it had to do with the Corporate Average Fuel Economy regulations in the US–popularly known as CAFE. The CAFE is more or less the average fuel economy of a carmaker’s fleet being sold in the US market. If a manufacturer’s CAFE falls below a certain figure, the carmaker is penalized. So Lexus will classify the NX as a light truck in the US because this category has a lower fuel economy standard than the car/sedan segment. Thus, the impact on Toyota’s overall CAFE (in CAFE terms, Toyota, Scion and Lexus count as one entity) will be minimized. How does this concern the altered NX nose? Well, there are several parameters for classifying a vehicle as a light truck. One is simply to have a certain approach angle. That’s why the US NX has a slanted nose. 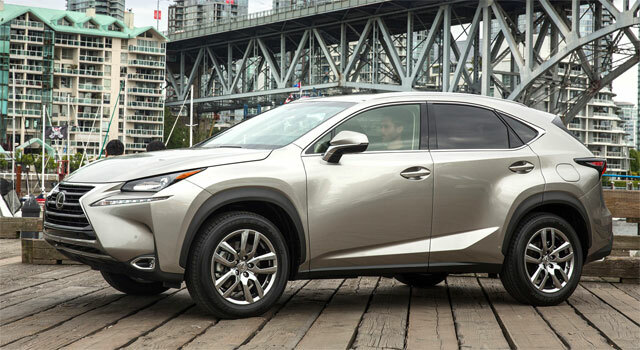 Ayo DocMkize: I can see the US market sales of would be concentrated on the NX F-sport versus the base model. RAL: there is a much larger profit margin on the F-sport, right? . . .